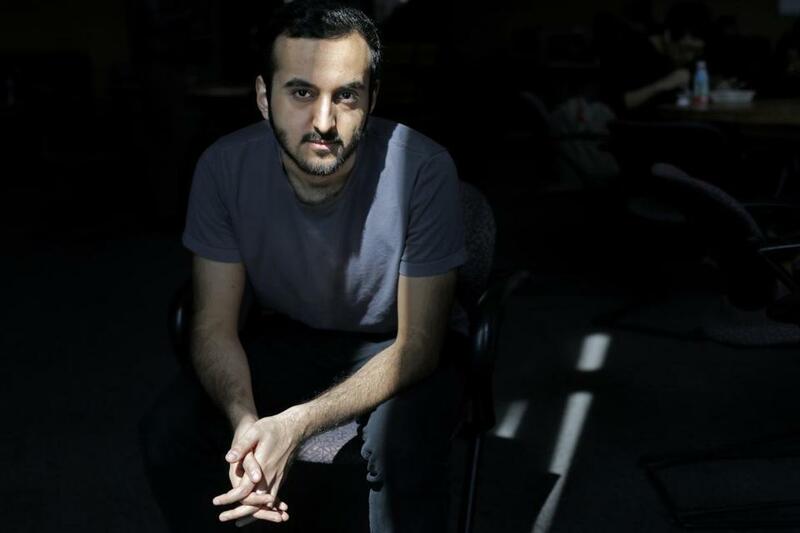 “I generally try to reason out why I am stressed and work my way to eliminate the stressor,” said MIT senior Abdullah Alsaeed. The rate of student suicide at the Massachusetts Institute of Technology continues to be notably higher than the national average for college campuses, a painful and concerning statistic for leaders of the premier university who have for years tried to improve the school’s suicide prevention, mental health, and counseling programs. Over the past decade, the university’s student suicide rate has been 10.2 per 100,000 students, according to a Globe review of public records as well as university and media reports. More recently MIT’s suicide rate has been even higher; over the past five years the campus has reported 12.5 suicides per 100,000 students. The increasing rate has been driven by the school’s undergraduate population, whose suicide rate in the past decade has outpaced that of the school’s graduate students — 12.6 to 8.5. The national average for college campuses is roughly between 6.5 and 7.5 suicides per 100,000 students, according to three major studies that looked at undergraduate and graduate student suicides from 1980 to 2009. At least one other local school, Harvard University, has an above average rate for its undergraduate population. The rate of suicide at Harvard was 11.8 per 100,000 undergraduates over the past decade. When accounting for both undergraduates and graduates, the rate at Harvard was 5.4 per 100,000. The suicides of four students within the past year have prompted soul-searching among those at the university concerning stress. In an interview with the Globe last week, MIT chancellor Cynthia Barnhart said that while the rate of suicides among MIT undergraduates is higher than the school’s rate for graduate students and remains above the national average, the university’s undergraduate rate has declined, particularly since the early 2000s. Between 1994 and 2005, the undergraduate suicide rate at MIT was 18.7 per 100,000. Still, Barnhart acknowledged that the numbers are concerning and that the university monitors such data. “We are numbers driven and we use the numbers to help us in thinking about how we can improve services and work with our students as effectively as possible,” said Barnhart, an expert in using algorithms who uses a wall in her office to draw out complex mathematical equations. “But the rate number is only one element, one metric we look at,” she added. The suicide rate nationally has increased among all ages in recent years. In 2013, the United States reported 13 suicides per 100,000 people, an increase from a rate of about 11 a decade earlier. Among college-age people, the rate has increased from 11 per 100,000 a decade ago to 11.6 in 2013, according to data provided by the Centers for Disease Control and Prevention. Bob Anderson, chief of the National Center for Health Statistics’ mortality statistics branch, said researchers are trying to determine why the country’s overall suicide rate has risen. “There’s nothing obvious there that would seem to explain it,” he said, noting that possible factors such as the recent economic downturn don’t seem to explain the rise. Four MIT students — two undergraduates and two graduate students — have taken their own lives in the past year. Three of the students died this school year. At the University of Pennsylvania, six students committed suicide between the fall of 2013 and the fall of 2014, according to media reports. And at Cornell, six students committed suicide during the 2009-2010 school year. The Jed Foundation, a nonprofit that works to promote emotional health and prevent suicide among college students, estimates that about 1,100 college students take their own lives each year, making suicide the second-leading cause of death among college students after accidents. The Globe this month reached out to more than three dozen other major colleges and universities around the country — many of which are identified as peer institutions of MIT — requesting that they share information about the number of student suicides at their campuses over the past two decades. As of Friday, only three schools — Harvard, Worcester Polytechnic Institute, and Boston College — had provided the data. A spokeswoman for WPI said the rate there over the past decade has been one suicide per 100,000 students. A spokesman for BC said a student there committed suicide during the 2011-12 academic year, but the school had not had any other cases in the 30 years prior. Twenty-three of the schools declined to participate. Some, including the University of Pennsylvania, said that their institutions had not collected the data and had no way of gathering it now; others expressed concern about comparing figures between colleges, noting that some institutions may have different standards and methods for collecting data on suicide. The rest of the schools either did not respond or some, like Cornell, said they were still working on the request. A Globe analysis in 2001 requested the same information from 25 schools. Twelve schools, including MIT, Harvard, and Cornell, provided data for that request. In that analysis, which looked at rates between 1990 and 2001, MIT had the highest rate of student suicide during that span among any of the colleges surveyed, about 10.2 per 100,000. The next closest rate was 7.4 per 100,000 at Harvard. Barnhart said the numbers are not what MIT considers most important. In recent years, MIT has ramped up efforts to try to address student suicide, implementing measures designed to make mental health and student support services more robust and to improve the school’s ability to screen for students who are having issues, Barnhart said.